This small plant with appressed scale-like leaves, grows in deep sandy non-calcareous soil on elevated hillsides where other vegetation due to the dry environment is usually lower and more spaced, thereby leaving open areas for small plants like this species to colonise. 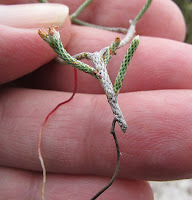 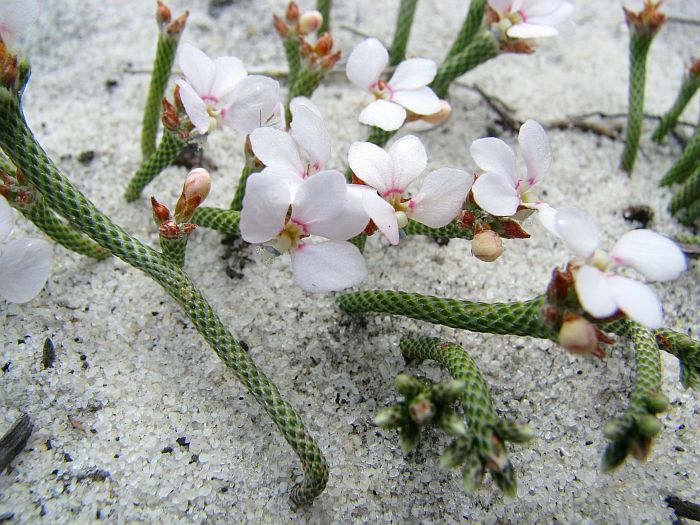 The Lizard Trigger Plant spreads in a rambling manner and seldom exceeds 15 cm (6”) in height, often with its lower branches buried in the loose sand where they commonly take root. 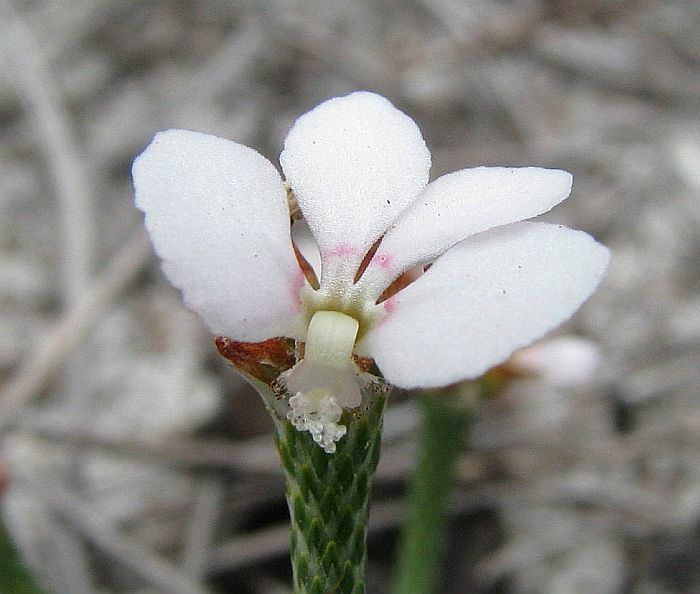 The tightly appressed and overlapping leaves are neatly arranged around the stem and highlighted by their broad semi-transparent margins. 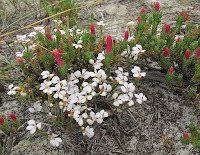 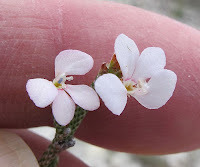 The terminal flowers vary from pink to white and produced towards the end of the year (October to December) when it is beginning to warm and most other Stylidium species have ceased to bloom. 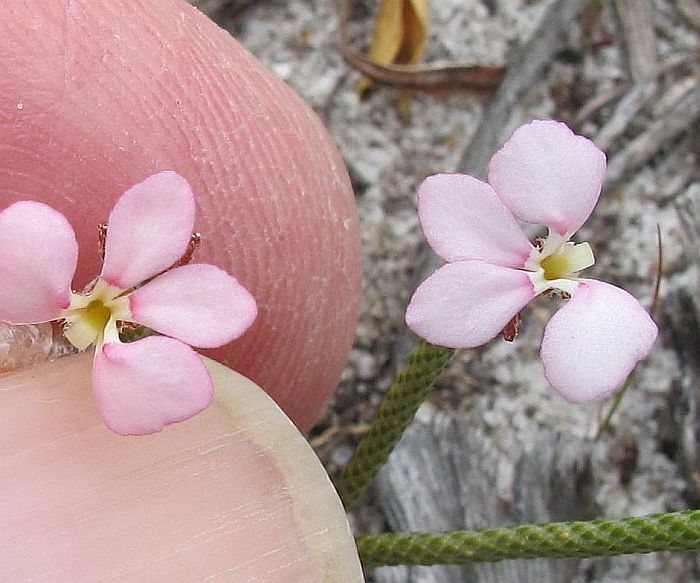 Stylidium preissii although not forming large colonies, can be collectively common as scattered individuals and small groups throughout its habitat. 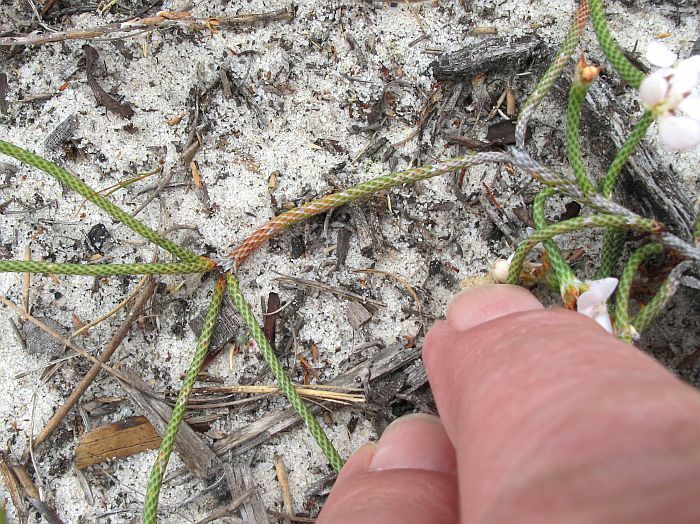 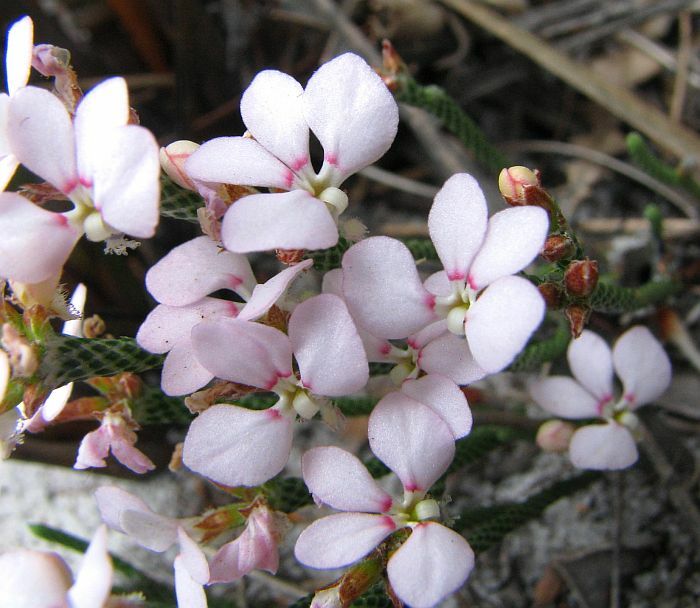 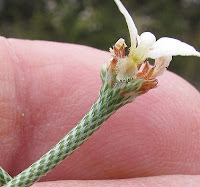 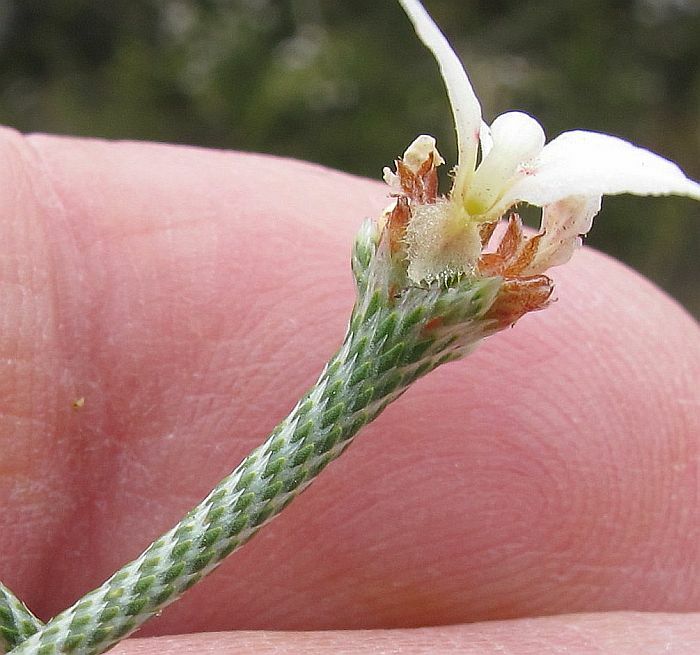 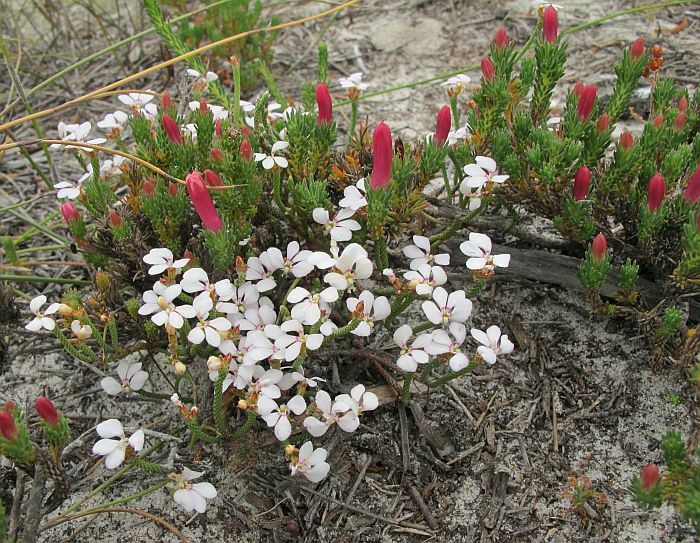 This trigger plant ranges over coastal and near coastal regions from Albany to east of Esperance (to Israelite Bay), plus is also recorded around Perth although less common. 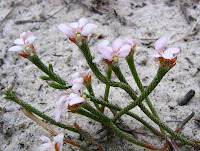 Stylidium is the dominant genus of the Stylidiaceae family.